Pulse-width modulation (PWM), a favorite technique for achieving analog ends through digital means, finds application in all kinds of end systems. Motor control might be the number-one application, but PWM turns up in telecommunications, audio systems and amplifiers, and any number of other uses. Armed with a capable oscilloscope, one can thoroughly analyze and understand the behavior of PWM circuits. Two very important considerations when choosing a digital oscilloscope are the length of the acquisition memory and the amount of RAM available for processing of the raw data. Note that acquisition memory and RAM are not the same things, but they are still both important. The amount of acquisition memory often determines the fidelity with which an oscilloscope can record a signal. 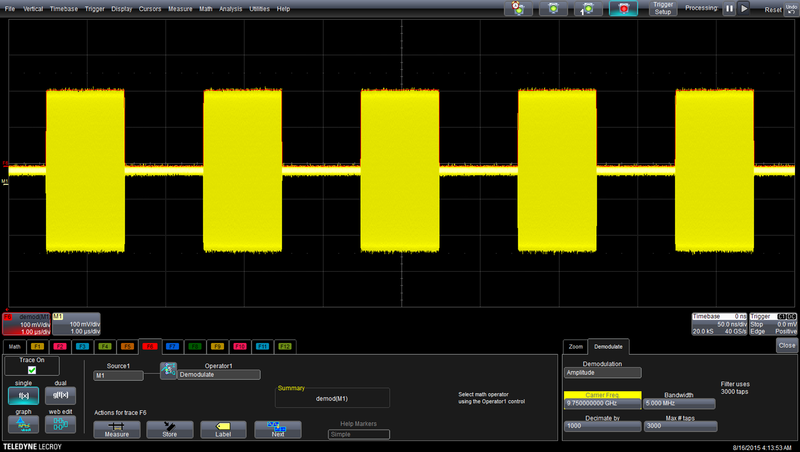 But that's only the first step; it's the instrument's processing horsepower is the key to finding signal abnormalities and characterizing circuit performance.